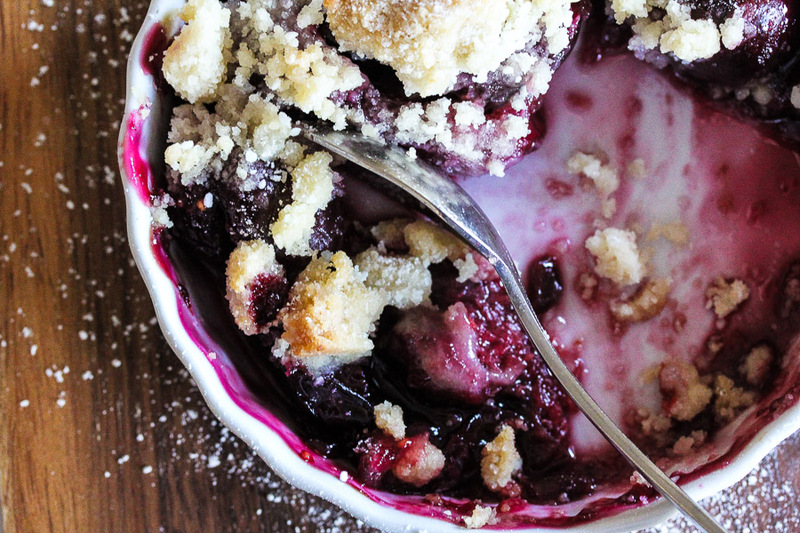 I threw together this yummy cherry and wild wine berry cobbler after our forager brought us a few pints of wild berries. 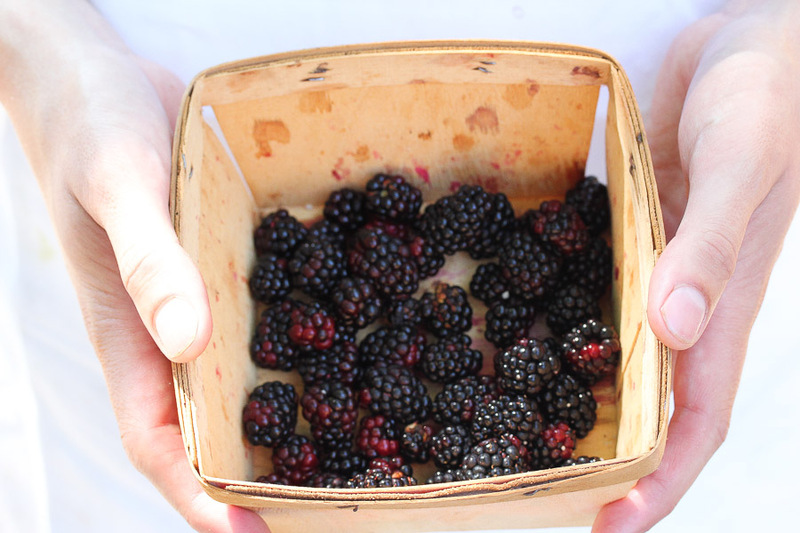 We were eating them raw until we finally had to stop ourselves so there would be something left to make dessert out of! 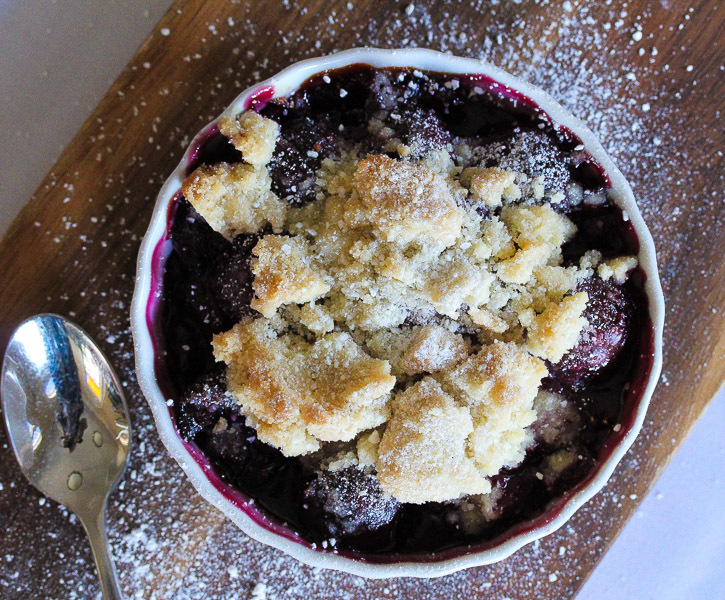 This gluten free cobbler can be made with any berries and we also enjoyed it with lakanto, which is a sugar substitute that stands in for sugar when baking. Mix all the fruit with the sugar (or lakanto), lemon juice and almond extract. Allow to marinate about 1 hour. Mix in the potato starch or arrow root just before putting the filling in your baking dish. Mix all the cobbler topping by hand until the mixture holds together in clumps. 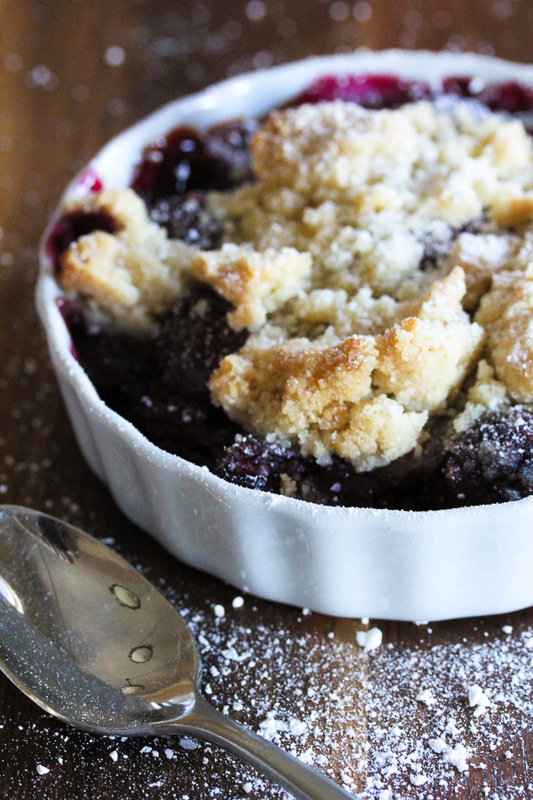 In a 9×9 baking dish, add the cobbler filling and crumble the mixture on top. Bake at 350 degrees for 10 minutes until browned on top. Hi Margie! This would serve between 4-6! wow so delicious and so beautifully captured too! definitely craving a bowl full right now, i can never go past a good cherry cobbler. I had this at 6 Main, and it was, as was everything else (always!) absolutely scrumptious. Just curious what type of vegan butter do you use? This looks really good!! We use Earth Balance, but any good quality brand is fine! Can you please post the recipe for the key lime pie?